This is the mul mantra of Lord Ganesh (also called Ganapathi, Vinayaka, Vigneshwar). This mantra is said to have the power to remove all evil and obstacles. This mantra was first mentioned in Ganapati Atharvarshisha. Ganapati Atharvarshisha is said to have been written by Atharva Rishi after he had the darshan of Ganapti. 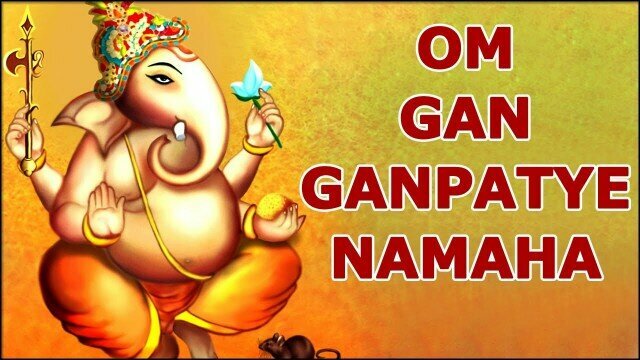 Om Gan Ganapatye Namah means the devotee bows/ offers salutations to the Lord of the World. This mantra removes all evil and obstacles that prevent you from reaching your goals. Typing this mantra early in the morning can be beneficial. It is one of the best ways to start your day, both for job goers as well as students. Try to type or chant 108 times everyday. And try to do consecutively for 11 days.